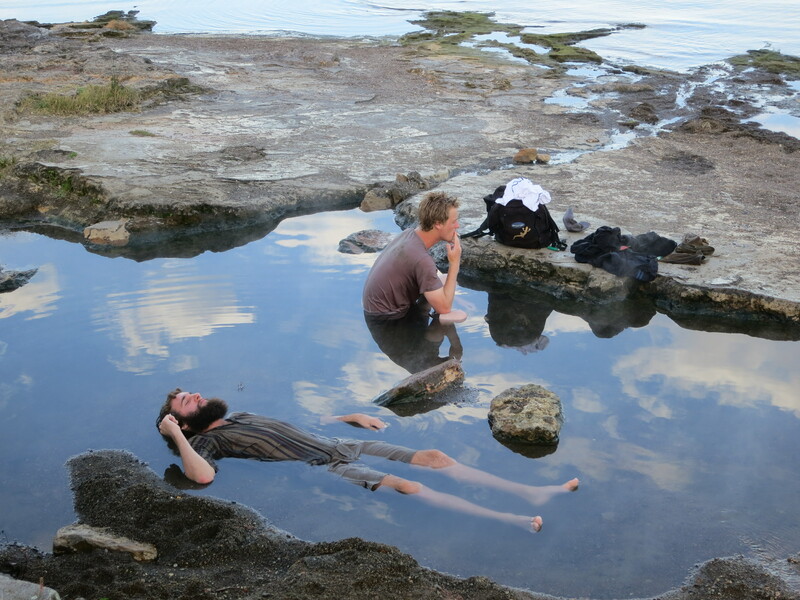 But they were certainly soaking up the opportunity to bask in the hot pool’s warmth in solitude – or so they thought. A few seconds later, my second photo shows them looking at me – the invader! I didn’t stop to chat. This entry was posted in Photography, Travel and tagged contemplation, Dreaming, hot pool, Lake Taupo, New Zealand, reverie, solitude, Weekly photo challengeers on July 21, 2012 by Rossi. Well, you asked for it … you being one lovely blogger – Grace! 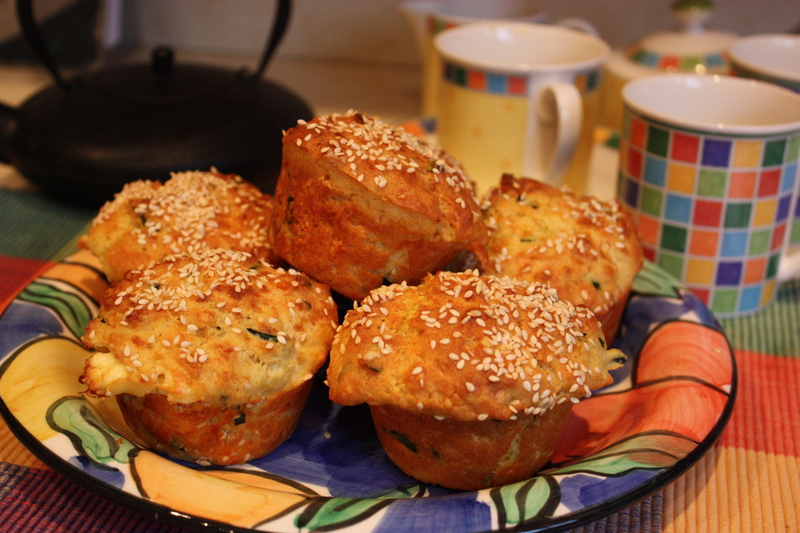 Our local deli – the Gipps Street Deli (Wellington, New Zealand) – makes their wonderfully delicious spinach and feta muffins in gem scone tins so the muffins are oblong and larger than these made in a conventional muffin tin. The mixture for the conventional size, made 18 muffins. In a gem scone tin, you’d probably end up with 12 or so. Mix flour, baking powder, salt and pepper. Add cheeses and spinach and mix again. In a separate bowl, mix butter, eggs and warm milk. Add to the dry ingredients, mixing just for the wet mix to absorb the dry. Don’t over mix! 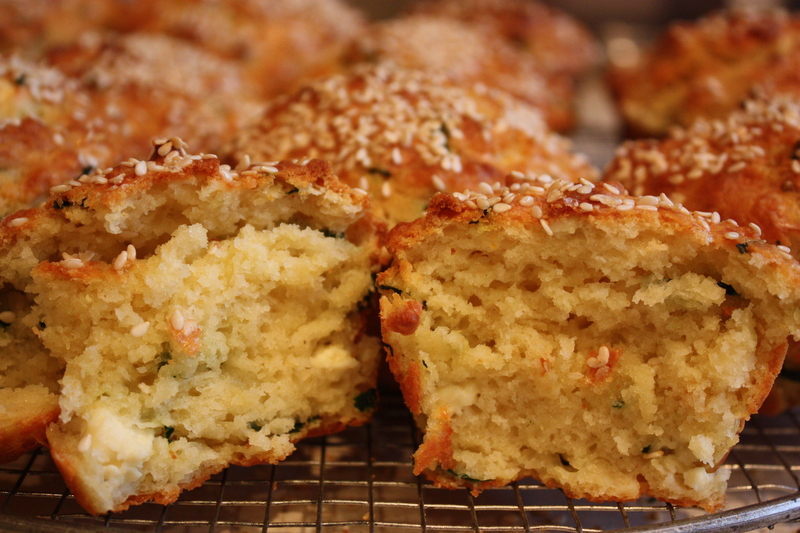 My son asked if I could sprinkle this batch with sesame seeds – adds a bit of extra crunch to the already slightly crunchy crust. Next time I make them, I’ll add a bit more spinach. And I might even add about a cup of diced roasted pumpkin! If reheating them, it’s best to pop them in a 150 degree celsius oven, rather than a microwave, for 5-10 minutes. This entry was posted in Food, Uncategorized and tagged Gipps Street Deli, New Zealand, recipe, Spinach and Feta muffins, tasty cheese, Wellington on July 15, 2012 by Rossi. This afternoon I was privileged to sit in on a masterclass for young aspiring conductors. Four of them aged from 15 – 24. I work for our national orchestra – this is one of the perks!!! I write and edit a small quarterly magazine so had decided to take photos of the young conductors with my ‘point and shoot’ camera – the one I keep in my handbag. I kicked myself for not taking my big camera to such a special event – a lost opportunity! Anyway, I moved round quite a bit – very quietly of course even though wearing my bikie boots- getting different angles, and while behind the piano my attention turned to the movement of Katharine’s hands. How to capture that movement. Not easy … but in this one image, everything excepting the hands, seems to be in focus. 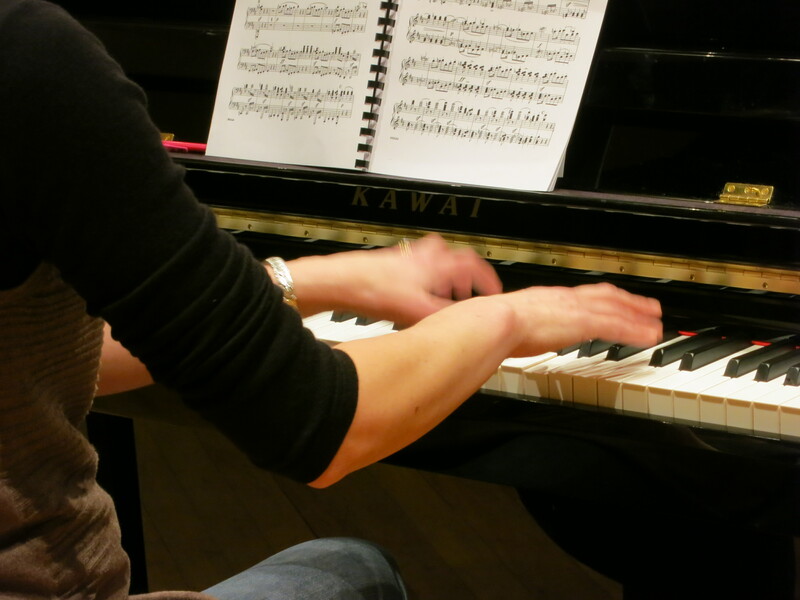 This entry was posted in Music, Photography and tagged conductors, hands, masterclass, movement, national orchestra, piano on July 13, 2012 by Rossi. I’ve tried to replicate the muffins several times but have never quite succeeded – close, but not exact. So, imagine my delight at seeing the recipe. I wonder if they’ve left anything out … do chefs do that? Sometimes, on a Saturday morning, I’ll whip round to the deli and buy a couple for us to have later in the day with a cup of tea. They are best enjoyed after heating in the oven for five minutes, then lathering with butter. Divine. And if I have to go to a workshop day – as I have to do this coming Saturday – I’ll duck in and buy one for my lunch. You got it – my stomach rules! My son was alongside me as I saw the recipe and whooped with delight. He grabbed his cell-phone and raced out of the room. Next thing, I hear a familiar ‘pling’ on my phone. Up pops a message: Great muffins … and a picture. 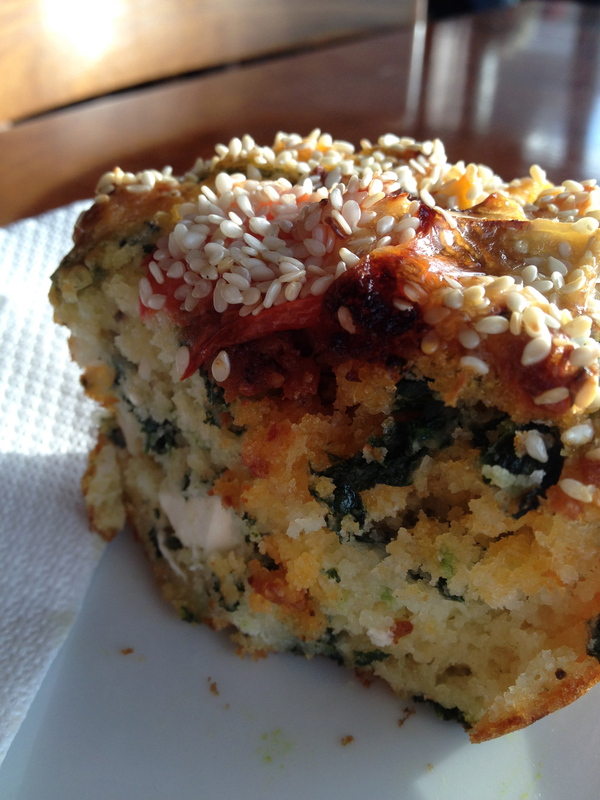 Not that we’re into outdoing each other, but his muffin (as pictured) had pumpkin and sesame seeds in addition to the spinach and feta! If anyone would like me to share the recipe for our local deli’s muffins, just say the word … and I’ll post. This entry was posted in Food, Photography and tagged food, pumpkin, sesame seeds, Spinach and Feta muffins on July 12, 2012 by Rossi. I participated a day-long photography workshop recently. It was on a farm about 30 minutes drive from my home. We were asked to take a long an example of one of our favourite images. I spent ages going through all my files – getting more and more confused about what to take. But in the end, I took this one, or one very similar having taken several on this beautiful winter’s day two years ago. I was reminded on this photo today while looking through my digital files. 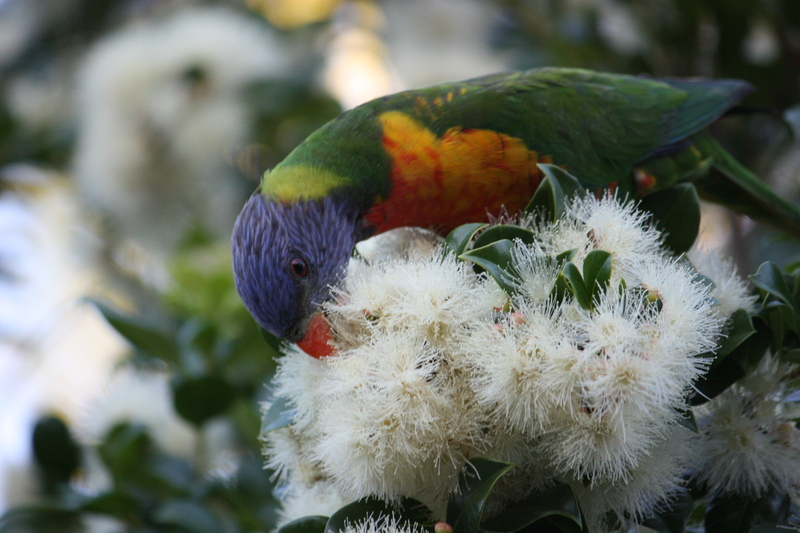 Today was a day just like the one in the photograph – clear, still, warm and sunny. Low winter sun – magic! I should have raced down to the waterfront with my camera to see if I could take a photo just like the one our tutor described. 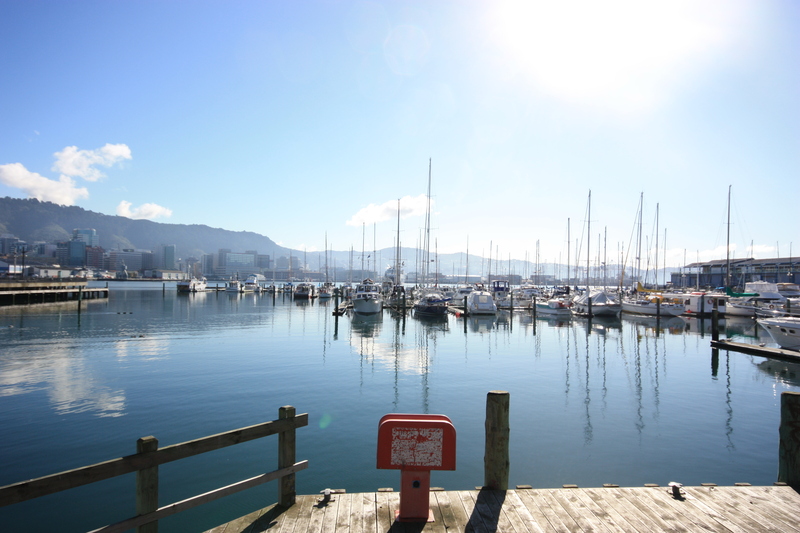 This entry was posted in Photography and tagged photography, Wellington, Wellington Harbour, winter sun on July 11, 2012 by Rossi. Stillness above belies the strength of movement below. Photographed on Lake Taupo, New Zealand, Easter 2012. 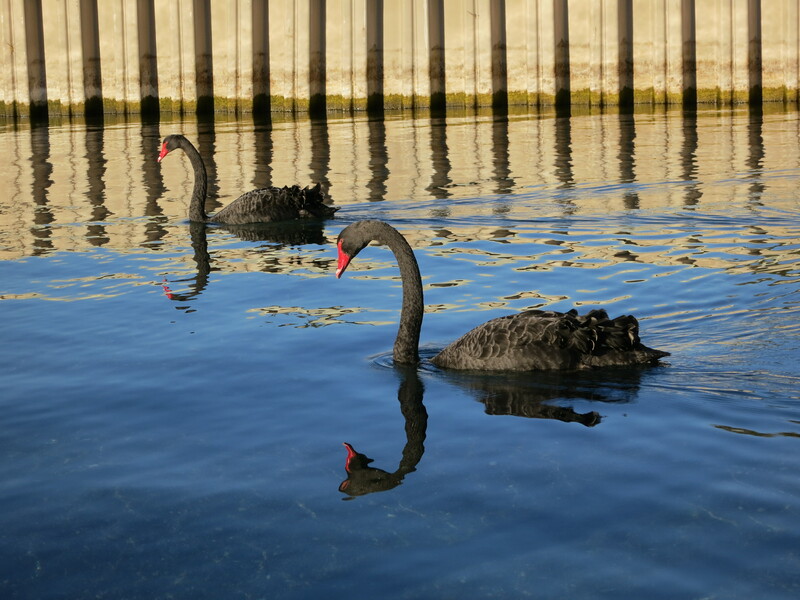 This entry was posted in Photography, Travel and tagged graceful, Lake Taupo, movement, stillness, Swan Lake, swans on July 9, 2012 by Rossi.